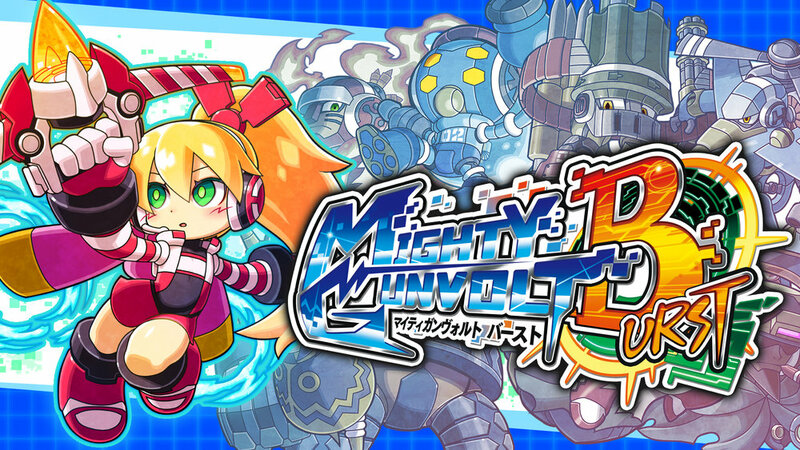 Just a quick note for fans of Mighty Gunvolt Burst (and if you haven't tried it, I do strongly recommend it) that joining the core cast of Beck, Gunvolt, and Ekoro later today will be Call from Mighty No. 9 and Joule from Azure Striker Gunvolt. If the other three player characters are any indication, then each will come with their own unique abilities and play styles to explore and experiment with. According to Nintendo Everything, the characters are already available in Japan and cost 200 yen, or about $1.77 USD as of this writing. Note that this has only been confirmed thus far in the Nintendo eShop on the Nintendo Switch, but it's believed that the Nintendo 3DS version should be ready to go at the same time as well, though that remains to be seen. Thanks to Cybrus for the tip!